Google Now can update you on whether your flight is on time or not, showing you in real-time whether a flight you’re planning to take has been delayed or cancelled. It can also serve up your boarding pass that will get you on the flight, and show your boarding gate and where you’re sitting. To take advantage of this feature, put your flight number in your calendar. That gets you the flight status information. 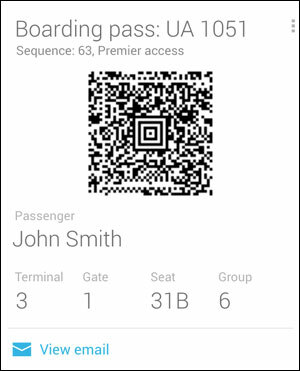 Once you check-in for the flight online, have the digital boarding pass sent to your Gmail account. That’s where Google Now will find it to be displayed when you need it. The stocks card will automatically display first the stocks that you’ve placed in your Google Finance portfolio for tracking. If you want the same stocks to always appear on this widget, it’s a good idea to create a portfolio in Google Finance and type them in. Alternately, the card will also display stocks that you’ve searched for. Stay signed in to Google when you’re searching for stocks and the service will take note of what stock symbols you’re looking up and display them to you on Google Now. Google Now will deliver updates to you about breaking news stories that you’re interested in from a number of news media sources. If you’re doing research about a topic that is not based on current events, Google Now will suggest Web pages to explore. 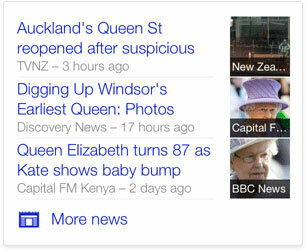 To make use of these cards – called “Developing story & breaking news” and “Research topic” – just make sure you’re signed in to Google when doing searches and using Google News. Google will detect certain trends with your searches and deliver up suggestions that should be helpful. 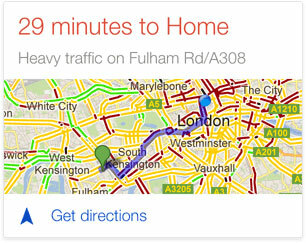 Avoid getting trapped in a traffic jam on your way home from work by checking Google Now before you depart. It will show you what the traffic looks like along your route and the estimated time it will take you to drive there. If things are really bad, it will suggest an alternate route to take. To take full advantage of this feature, turn on your GPS tracking and share your location with the Google Search app. Also, fill out the Home and Work locations in the settings menu for the app (you can also input these on Google Maps). Put a street address in your calendar entries under “location” to get a traffic report from your present location to your next meeting, and a notification of when you should leave. 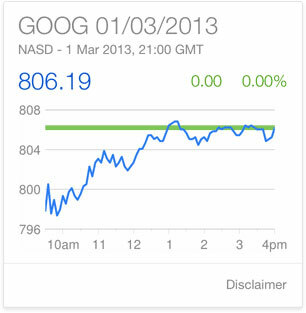 Google Now is available for iPhone and iPad users for the first time. Google released an update to its Google Search app on the App Store today, offering iOS users the service that’s been available on some Android phones for nine months. The object of Google Now is to provide you with useful information before you even search for it. Android users of the service have report eerily good experiences with the service, that sometimes can seem like it’s reading your mind. About to check when your flight takes off? Google Now shows you if it’s on time, and what gate you should be at for boarding. Curious to see what traffic is on the drive home? The service is already showing you traffic patterns along your route and an estimated travel time. Google Now serves up this information on little “cards” or widgets in the app. If you’ve just updated your Google Search app on iOS to version 3.0 or you’re an Android user that’s looking to take full advantage of Google Now, here are some tips on getting the most from the service. As you can see above, it’s all about making good use of your other Google services.